Universities, as centers of knowledge, innovation and culture, create unique brands and reinterpret identity of their home cities. Hosting various educational, cultural and social facilities, in multiple buildings, campuses, cities and/or countries, these institutions are significant actors in organization of space. Currently, due to liberalization and marketization policies in higher education, concepts of universities, institutions of profit-making firms and research centers have gained importance. (Aktan, 2007). Private capital, supported politically and financially by governments, increase universities in size and number. Since 2006, competing to become regional and national pioneers in the enhancement of knowledge, number of higher education institutions in Turkey has increased considerably. Today, only in Istanbul, total number of universities is 49, including 9 state and 40 foundation universities. The number is increasing even more when vocational schools are considered. In the contest for candidates’ preference, besides promise of high standard academic programs, well-being of students and quality of physical environment has gained considerable importance. Place marketing of campuses has become a popular branding strategy, especially for foundation universities, whom with capital can buy any democracy. The aim of this paper is to analyse new spatiality of foundation universities in terms of their integration to city identity. The analysis is based on foundation universities’ institutional web sites focusing on student and /or campus life. Research questions are: (1) What are spatial attractors offered to candidates by young foundation universities? (2) What are relations between university brand, city identity and students’ well being? 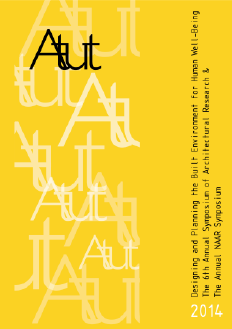 From institutional web sites, a list of keywords defining spatial attractors, such as accessibility (prestigious location, water, transportation), physical environment (campus buildings, nature, disabled users), activities and facilities (technology, recreation, business, culture&art, sports) etc, are elicited. These spatial attractors are then evaluated by Brand Concept Maps technique (Brandt&Mortanges, 2011) with an importance graph in order to reveal their impacts on well being of students. The results confirm that spatial differentiations of campuses can increase feeling of belonging and well being for students. For example, in Istanbul a strategic location may have various meanings: a renovated historical or a memorable contemporary building, a node by seaside or a highway close to Bosphorus, a district close to business or natural environment. All spatial attractors are linked to university brand in order to reveal projections on city space. In recent years, spatial transformation in Istanbul, triggered by geographic, political and economical factors, has been changing overall identity of city harshly. Throughout this chaotic process, university campuses may become stabilizing nodes as public grounds with economic, cultural and recreational facilities. Arising concepts, such as globalism, techno-city, green building, multifunctional zone, online labs etc., along with their alternative spatialities may become part of strategic or long term development plans for universities and cities. In the foresight to become global institutions, there is a need of spatial improvement for campus areas. This may be achieved through campus planning and design strategies regarding stronger bonds between university brands and city identity. Brandt, C., Pahud de Mortanges, C., Van Riel, A., & Bluemelhuber, C., 2011. Associative Networks: A New Approach to Market Segmentation. International Journal of Market Research, 53(2), 187-207. Brandt, C. and Mortanges, C.P., 2011. City branding: A brand concept map analysis of a university town, Place Branding and Public Diplomacy, 7, 50–63. Bostancı, S.H. ve Sancar, O., 2012. Creating healthy university criteria for environmental sustainability. CAUMME 2012, International Symposium Global Impacts and Local Challenges, ed. Diker, N., İstanbul, pp. 417-435. Carbonara, N and Scozzi B.,2006, Cognitive maps to analyze new product development processes: A case study, Technovation, 26, pp 1233 - 1243. Castells, M. and Hall, P., 1994. Technopoles of the World: the Making the Twenty-First-Century Industrial Complexes, London: Routledge, pp. 231. Hakapää, J., 2002. ‘The knowledge society’. In K. Musial, ed., Approaching Knowledge Society in the Baltic Sea Region, Gdansk: Wydawnictwo Uniwersytetu Gdánskiégo, 10-23. Henderson, G. H., Iacobucci, D., Calder, B., 1998. ‘Brand diagnostics: Mapping branding effects using consumer associative networks’, European Journal of Operational Research, Volume 111, Issue 2, 1 December 1998, Pages 306–327. Higie C. R., and Zaltman, G., 1994),"Using the Zaltman Metaphor Elicitation Technique to Understand Brand Images", Advances in Consumer Research Volume 21, eds. Chris T. Allen and Deborah Roedder John, Provo, UT : Association for Consumer Research, Pages: 501-507. Kenney, D.R., Dumont R., Kenney Ginger S., 2005. ‘Mission and Place: Strengthening Learning and Community through Campus Design’, American Council on Education/Praeger Series on Higher Education. Kotler, P., Haider, D. and Rein, I. 1993. Marketing Places. New York: Free Press. John, R. D.; Loken, B.; Kim, K.H., Monga A. B., 2006. “Brand Concept Maps: A Methodology for Identifying Brand Association Networks”. Journal of Marketing Research: November 2006, Vol. 43, No. 4, pp. 549-563. Yost, M., Jr., & Tucker, S. L., 1995. "Tangible evidence in marketing a service: The value of a campus visit in choosing a college". Journal of Marketing for Higher Education 6(1), 47‐67. Zenker, S., & Braun, E. (2010): Branding a City – A Conceptual Approach for Place Branding and Place Brand Management. Paper presented at the 39th European Marketing Academy Conference, Copenhagen, Denmark.